Have you ever wanted something deeply enough to ache, without realizing it? That was my experience with wanting to be an author. It seemed so professional, so impossible, and so far out of my realm that it never occurred to me that it was a possibility. But oh, how I wanted it. It took a terrible job – the kind where a good day is any that doesn’t see you in tears – and one particular video blog to make me take the leap of faith that would lead me to writing professionally. Well, that and a well-timed play of I’m Yours by Jason Mraz. If you haven’t heard of the Green brothers, or their vlog on youtube (the vlogbrothers) I highly recommend checking them out. As of recently both brothers are published and bestselling authors and completely relatable human beings. The elder, John Green, is the only person on earth to make me believe that I might be able to write a book. And not just one book, but many. I’d been watching the vlogbrothers for a long time before the video that changed my life came out. Although they’ve become much more philosophical in recent years, at the beginning I mostly watched them because they were goofy and lovable. John had a cute dog too, which helped. The fateful video involved the best-selling author explaining the Georgian-Russian war, something that was totally consistent with what I thought an author would do. What did not fit that high-brow mental image however, was the peanut butter he spread over his face during the explanation. Ostensibly this was to keep the video from being boring, but for me it had a much greater effect. Authors were not only human, but suddenly, they could be weird. I was weird. I was human. It was the first time I ever considered that maybe, just maybe, I could write in the real world and not just in my wildest dreams. Still, writing was not a ‘practical’ career. It would take years of time and work that I didn’t think I had in me, so I left it and continued to pursue a career in business. That was a mistake. Enter The Business That Shall Not Be Named, or TBTSNBN Industries. TBTSNBN Industries was a manufacturer that sold several million dollars in goods every year. They were also not particularly well managed thanks to some blatant nepotism. While I was there it was unanimous among the staff that there were big problems with the business, and as mentioned it was not unusual for me to come home in tears at least once a week. Eventually, I caught myself wondering about some pretty grim alternatives to work. This was unusual for me, as I’ve always been a pretty happy-go-lucky person. The first time I thought these thoughts, it hit me like a physical force just how wrong the situation was. Still, I didn’t leave. I was trapped in a place with (at the time) high unemployment, with little experience and limited connections. At least that’s what it felt like. One appropriately grey and rainy night, in the depths of anxiety and depression (not the clinical kind) I went for the walk that would be my impetus for change. Soaked to the skin, trudging as only the hopeless can trudge, I wandered aimlessly around the upper-middle class suburb I was living in at the time. And then I’m Yours came on in my headphones. It’s a difficult song to be sad to. The beat is catchy, the rhythm is upbeat, and the lyrics are both silly and uplifting. It’s not the best song in the world or anything, but it’s what I needed at the time. Something broke inside me on that rainy night. Some deeply held beliefs were pulled out and examined, some false loyalties, and a handful of videos involving peanut butter. Two hours later I slumped into the 750 square foot basement suite I shared with my partner, exhausted but triumphant. I announced, surprising even myself, that I was quitting my job and taking 5 months to try writing. Happily, I had the savings to keep up my end of the household costs. It was a scary transition, but one that has made my life better in every way. It took three manuscripts for me to write anything worth reading, but I wouldn’t trade that time for anything. I rejoined the workforce after those five months a stronger person, a better writer, and with more self-love than I would have ever had without the challenge. I tell this story not because I think it’s particularly interesting, but because it is important to recognize that inspiration isn’t always a lightening strike. Sometimes it’s a handful of small moments, the little ah-ha’s that push us. The comment of a loved one, someone’s face on the street, or a song shuffled into the mix at just the right moment. Let the inspiration come, and you’ll be amazed how far it might take you. 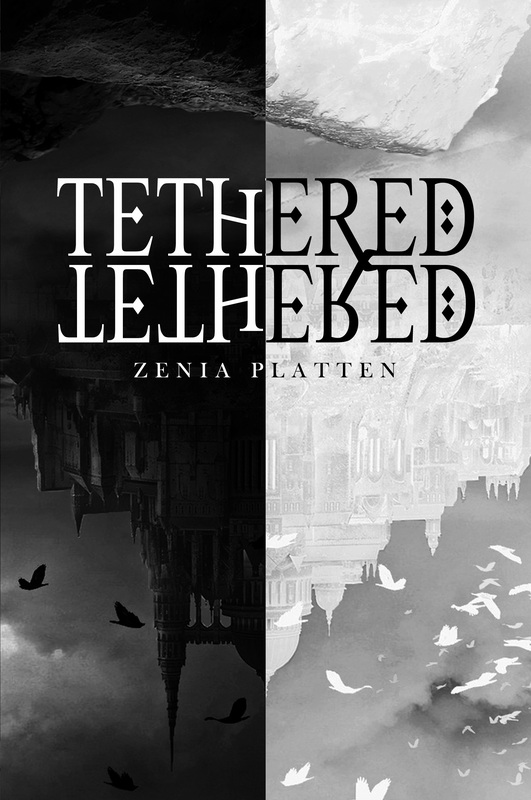 This guest post was written by Zenia Platten, author of Tethered (available for pre-order on Amazon, live June 1, 2019) and The Ghost of Baile Briste (available winter 2019). This book is the latest in The Guernsey Novel series which began life with book 1 ‘Dangerous Waters’ in 2012. I had initially set out to write a book. Full stop. Thanks to the many happy years I had spent in Guernsey, reluctantly leaving a few years before, the setting for this new venture had to be this beautiful island. I must have enjoyed writing the first book as I went on to write another even though I couldn’t attract an agent. My day job was offering psychotherapy to people with a variety of issues or addictions and writing was a wonderful escape from real life. My previous books have been set mainly in contemporary Guernsey, but with reference to the German Occupation of WWII, which I had researched well. This one, however, is dual-time between Victorian and modern times. The shift was sparked by my interest in the larger than life character of Victor Hugo, who lived in exile in Guernsey from 1855 to 1870. If the name’s familiar, he’s the author of Les Misérables, now a huge musical hit of stage and screen. He also wrote ‘The Hunchback of Notre Dame’ which became a film many years ago. Hugo was the leading literary light of France, famous for his novels and poems, and had a world-wide reputation. He was also a politician and fell out big-time with Emperor Napoleon III, hence the exile. Others were forced into exile also and some followed him, first to Jersey and then to Guernsey. He found a home for himself, his wife and three adult children in St Peter Port, the capital of Guernsey. Really it’s the only town. Hugo named his house – the first he had ever owned – Hauteville House after the street it was in and rented a house nearby for his mistress, Juliette Drouet. I have visited Hauteville House twice and it’s the most fascinating private house I’ve ever seen. Opulent, chock full of paintings, tapestries, wooden carvings and porcelain, it is as Hugo left it. I couldn’t help but think it would be a nightmare to dust! But once I started reading biographies of the man I realized how much his home fitted his persona. Hugo loved making things and many of the carvings are his and he also painted, with some of his work on display. A true polymath. Hugo carried on with his writings once he had settled into his house with the ever-present builders and craftsmen. He finished ‘Les Misérables’ in 1862 and it was hailed as an international success, soon being translated into English for the British and American market. It is shortly before this point that my story begins when Eugénie, my character, meets Hugo under unfortunate circumstances. I mix fact with fiction and many of the characters in this part of the story were real people. 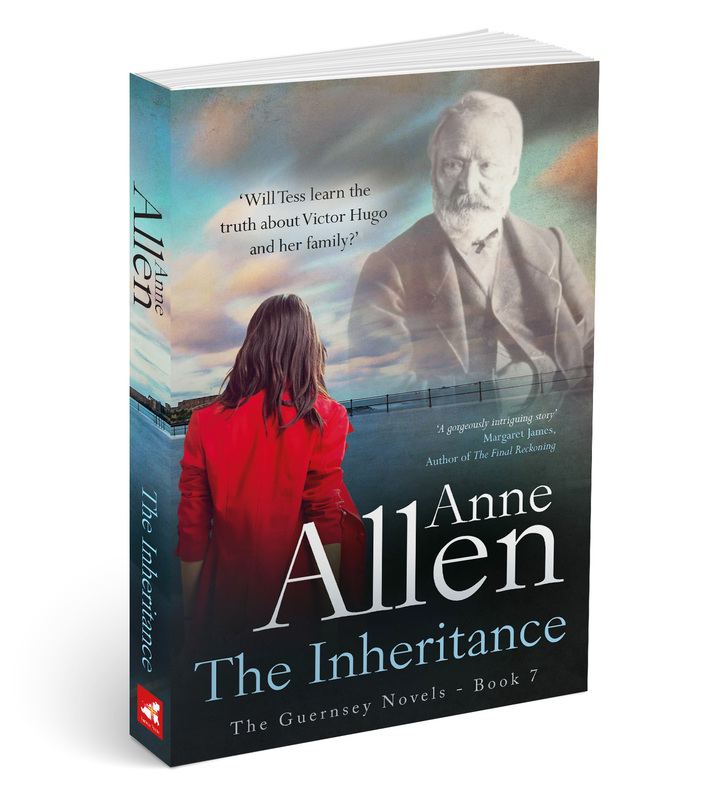 Writing the book was a challenge but I learned so much about not only Hugo and his family, but how ordinary people lived in late 19thC Guernsey and France. “A gorgeously intriguing story set in a beautiful location. I completely identified with contemporary heroine Tess and Victorian heroine Eugénie, who both became real for me. I was sorry to part company with them both”. 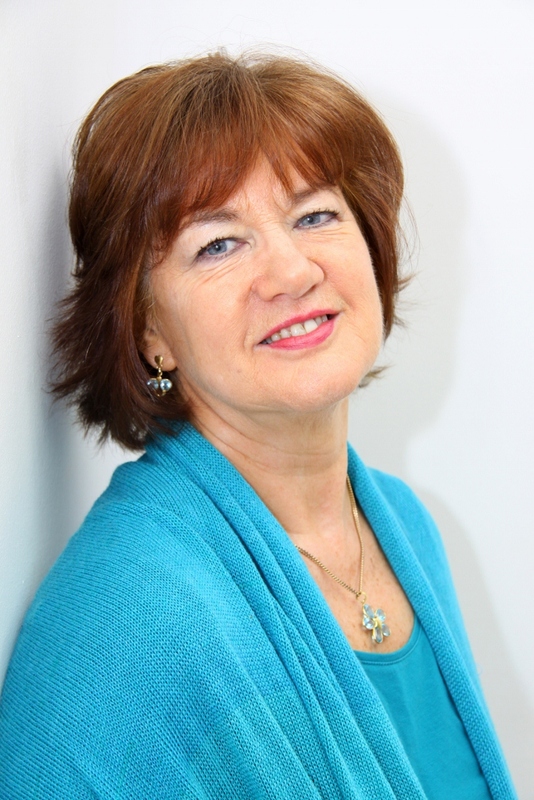 Margaret James, Author of ‘The Final Reckoning’. 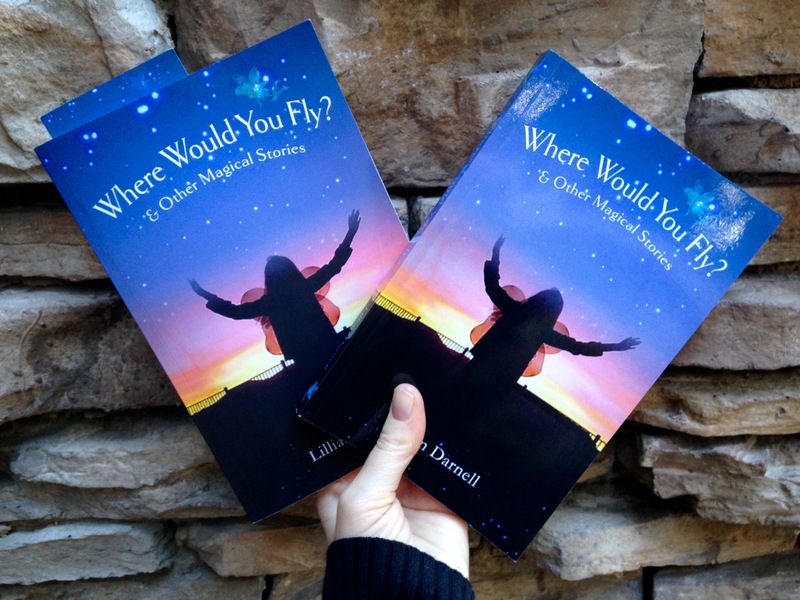 Where Would You Fly? and Other Magical Stories is a truly unique and magical read. I read this book in one night because the fairies, animal stories and mindfulness advice were so beautiful and provided a deep insight into how one very talented young lady sees the world. Some of the stories are very healing too. I loved how Lillian took animals through emotions and not only expressed how to combat things like shyness but was beautiful enough to validate that those emotions are alright. This book actually made me feel happier after an emotionally stressful week and long after finishing the book a lot of the stories and quotes stay in my mind. 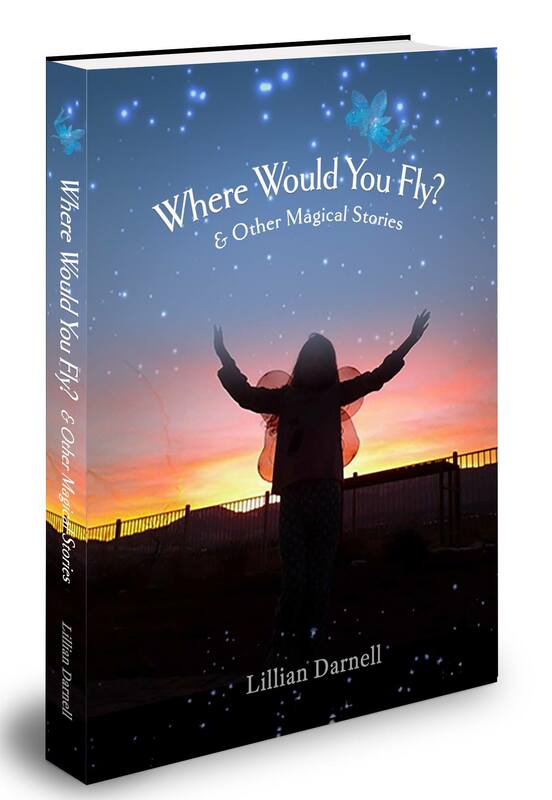 The book itself follows Lillian through her ages of growing up in a magical way. We get to meet her fairies, princesses and learn the lessons of emotions and how to treat others through the many animals and how they relate to people. I loved the stories Love as Chimpanzees and The Last Cookie, well would you share your last cookie? Should you? 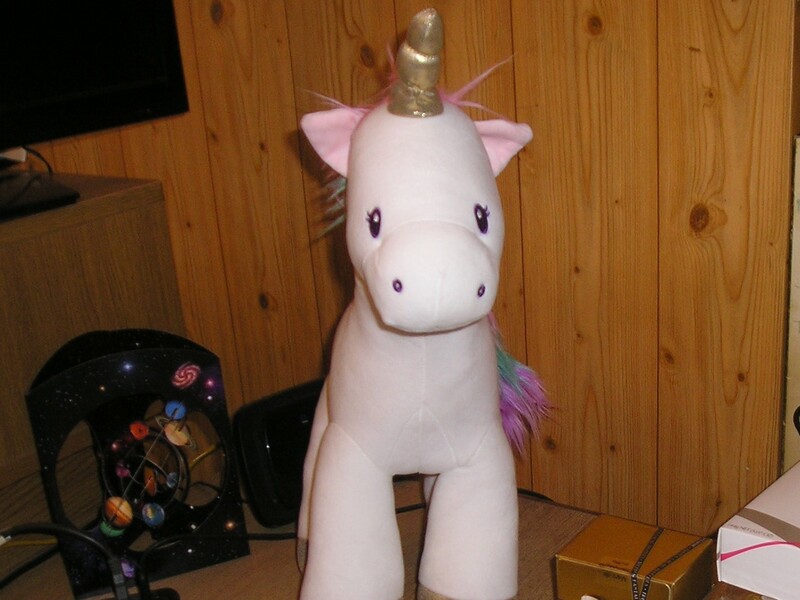 How do unicorns fly? Could Britney be a princess? Read this book to find out and enjoy the magic of each story. I also loved the beautiful drawing and photos of Lillian and her family. This really made the book feel even more special. 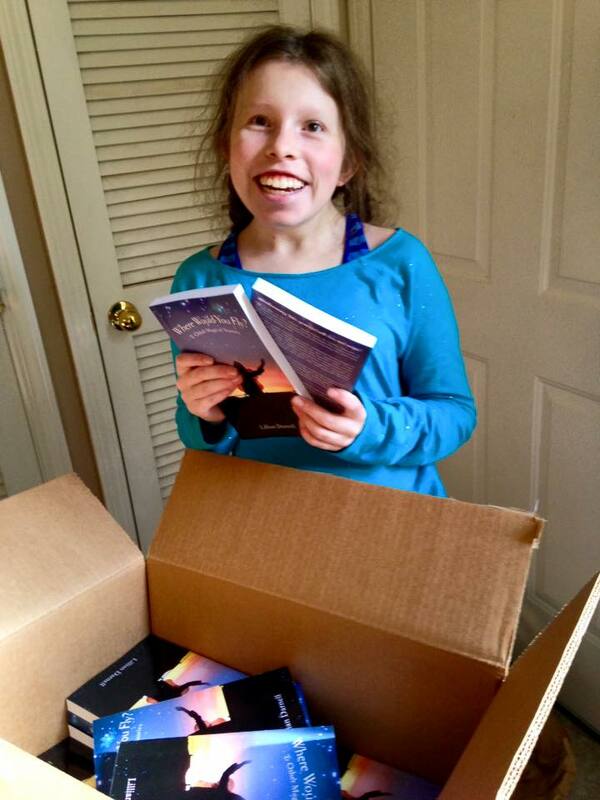 I also think reading about how special Lillian is can only make you feel blessed to be able to see the magic she carries in her mind and heart. I loved the poems and rhymes in this book, especially the snow song, made me wish I had snow right now. And the quotes Lillian wrote herself are so beautiful I will have to put this one on my quote post it wall for when I write. “If you hear the rain tip-tapping, that’s the fairies dancing.” – Lillian Darnell. Where Would You Fly? and Other Magical Stories help you leave your world at the door and take you into a world that is peaceful, colourful and by the end leaves your heart smiling. I would recommend this book if you want to travel to magical places, learn feel good ways to cope with little parts of us that can bother our souls and sing little rhymes and poems, then this is the book you must read, besides this book would also be nice to read to young children as well. I first discovered this quote when I was looking for quotes to inspire my students when I taught middle school science. I printed it out and put it on my wall. What I loved about it? So many of my students, and so many people in life, are afraid to take risks and make mistakes. But mistakes are necessary! They are a natural part of discovery, risk-taking, and trying anything new. As a writer, it’s sometimes hard for me to keep going on a first draft, but this quote helps to remind me that writing, like science, takes risks and mistakes. I love this quote. There are so many things that divide people from each other, but if we really want to solve global problems like climate change, we have to work together. What’s more, I think that the essence of all true religion, spirituality, morality, or ethics is ultimately figuring out how to do good. Part of doing good has to be seeing other people, especially people who are different than us, as our brothers and sisters. This is a quote by the Spanish Poet Juan Ramón Jiménez. Ray Bradbury used it as the epitaph for his book Fahrenheit 451, which is where I first heard it. I love this quote because it succinctly points out the mindless conformity that is inflicted on us in a thousand different ways, large and small. Though writing the other way may seem like a small act of rebellion, small rebellions can help us recognize the larger and more dangerous ways that we accept the status quo without thinking critically about it’s effects. Dune. It’s a classic of science fiction, and Frank Herbert created many memorable characters. But the litany against fear is still one of my favorite parts of the book. As a musician and a writer, I struggled with stage fright and other fears for a long time. But I chose to face my fears and work through them. This quote helped me recognize how destructive fear can be, and it gave me the courage to “turn my inner eye to see its path,” instead of giving in and giving up. This quote is associated with Amnesty International, an international human rights organization I worked with in college. It’s so easy to complain, or say that nothing ever changes or gets better. But even small acts of kindness, love, generosity, and goodness can make an enormous difference. And when enough people do those things, it can change the world. I have one of those minds that can retain nearly every piece of information it comes across. It soaks things up like a sponge, particularly where animals are concerned. It’s also a mind that is easily influenced. Some of my story ideas come from dreams or conversations with people. Others are triggered by video clips on YouTube or even from photographs. Almost anything can trigger a story idea and before I know where I am, part of the story is down on paper and I’m already working out the main characters’ personalities. Part of my being autistic means that I struggle with too much information on a page. I can see all the information in one go and I struggle to filter out what I actually need. For this reason, I like to work with a photo of my characters in front of me rather than using written profiles. The image needs to give me the right feel for the character as well as the right look. It can take some time to find an image with just the right feel, but when I do, I can use it as a reference point for that character. 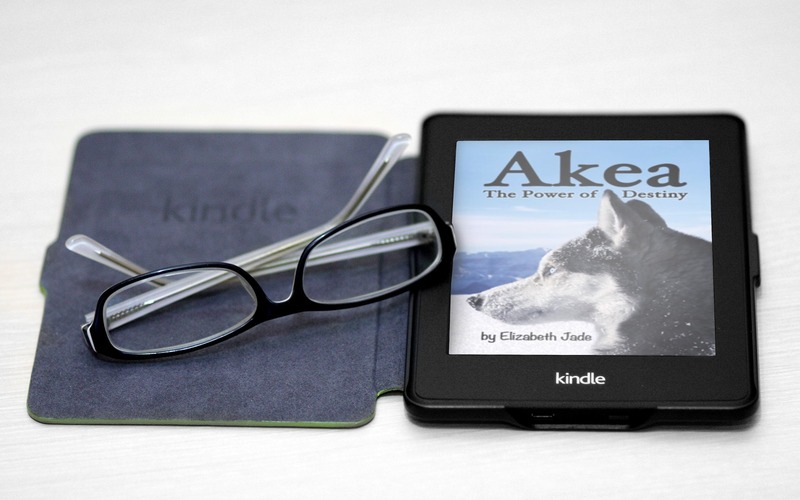 The inspiration for my story ‘Akea – The Power of Destiny’ came from a photograph, but it also came about by accident. While working on an idea for a story involving a dalmatian and a husky, I started trawling the internet for images that captured the essence of the characters I was trying to create. Finding photographs of these two dogs together was surprisingly straight forward, but what happened when I found a specific image was very unexpected. I could tell this husky didn’t want to share a story with the dalmatian. Instead, she told me her own story – a story in which she would go from feeling out of place among the sled dogs she was expected to fit in with, to feeling perfectly at home among the wolves with whom she had nothing visibly in common. 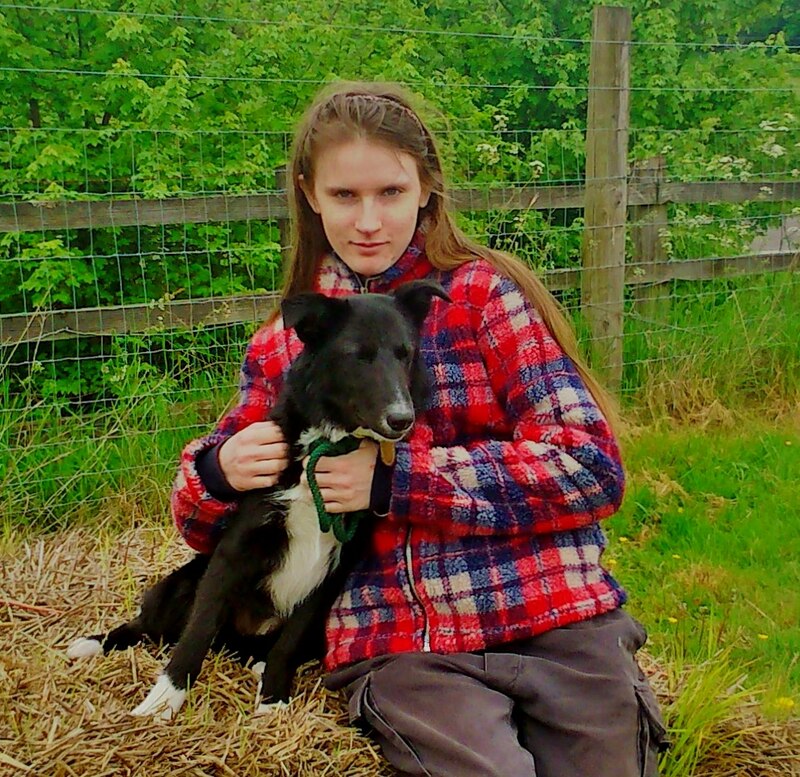 I started with her birth into a family of sled dogs, and before I realised it, the rest of the story began flowing out faster than I could have imagined. As each new character introduced itself into the story, I searched for photographs to represent them. The writing was very intense. It felt like the whole story was pre-written in my head and my hands were having difficulty keeping up. Sometimes I wasn’t aware of what I was writing. In fact, when I had finished the final chapter and someone asked what happened in it, I didn’t know until I went back and read it. I had not planned for this story to be part of a series, but a family member made a comment when they had finished reading the final chapter, and this immediately triggered my imagination again. 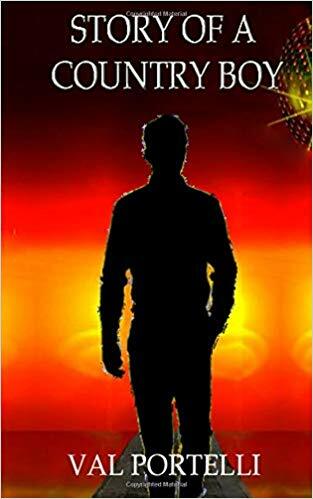 I started writing ‘Akea – His Mother’s Son’, which looks at what happens to Akea and her children, and this book should be out later this year. I have also written parts of the next four stories involving Akea and her extended family. And all this started with a single photograph of a husky with a dalmatian. Incidentally, the Dalmatian story was never written. At the forest edge, a silvery shape appeared from behind a grassy mound. Eacnung howled and her pups obediently ran to her; all except for Akea who was rooted to the spot; curious but unafraid. She was intrigued by the appearance of a creature she had not seen before; almost mesmerized in fact. The pups were herded back into the shed where their mother comforted them with a small feed and from that point on the owner, Kelleher and Eacnung were extra vigilant whenever the pups were allowed outside. Akea would always scan the edge of the woods in case the wolf came back, but she dare not let her father see her. Every night the wolf plagued her dreams and although she had no idea what it meant, she was not afraid. Kelleher however, was troubled. The wolf brought back unpleasant memories, for among other things Kelleher knew that he was not a true husky – there was wolf blood in his veins. One night Akea woke up, went to the dog flap and poked her head out to look round. There stood the wolf, looking at her intently from his grassy mound. He raised his head and howled softly before leaving. Akea desperately wanted to howl back, but she knew her mother and father would not approve. It seemed as if the wolf was trying to contact her; as if he knew something about her that she was only beginning to learn. Something stirred deep within her, and she no longer felt she belonged there with the other huskies. Elizabeth Jade was born in North Yorkshire in 1998 and moved with her family to Wellington when she was about twelve. 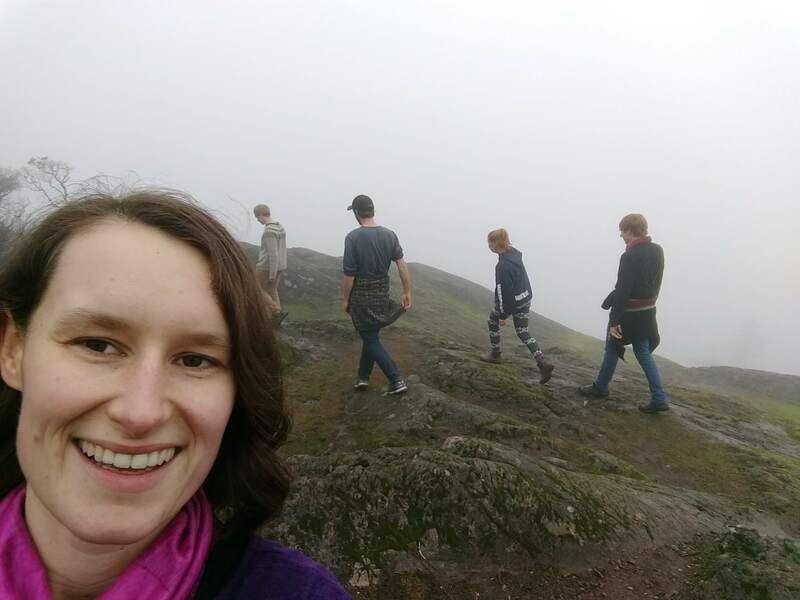 She stumbled into writing at the age of fourteen when she began to struggle with depression and anxiety, and at the age of eighteen, she was diagnosed with Aspergers Syndrome. 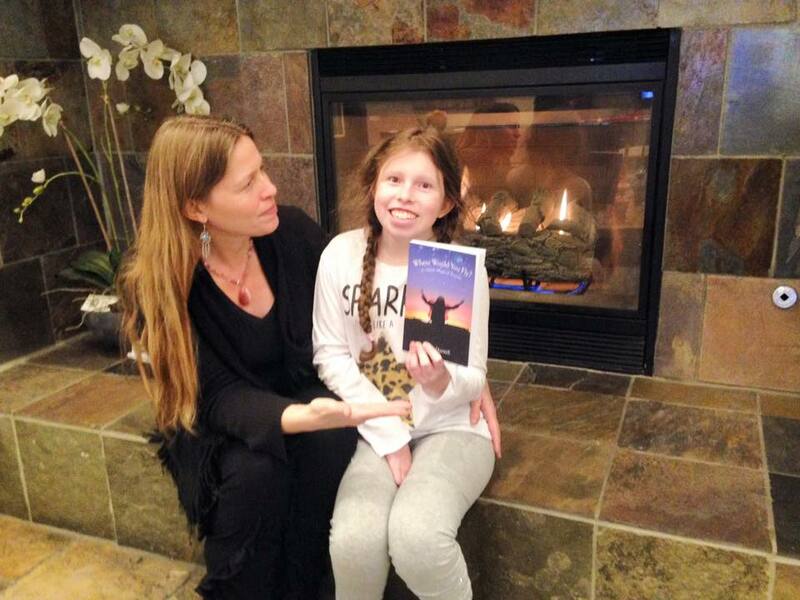 She has always had a passion for animals and has volunteered at various animal rescues, so it seemed only natural that her stories would revolve around them. 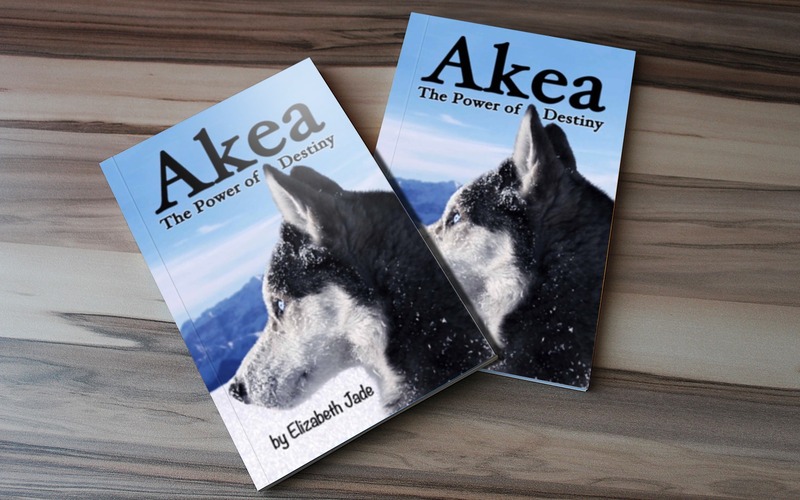 Akea – The Power of Destiny was published in 2017 and is the first in a planned series of adventures for this Siberian husky and her wolf friends. 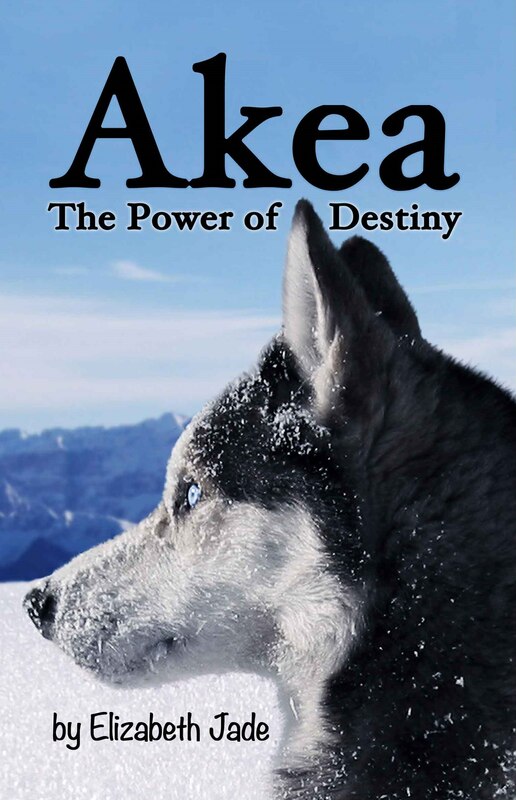 Akea is a Siberian husky who was born into a family of sled dogs and a life which should have followed a predictable path, but from the day she first saw the lone wolf, Akea knew her future lay beyond the safety of her home. 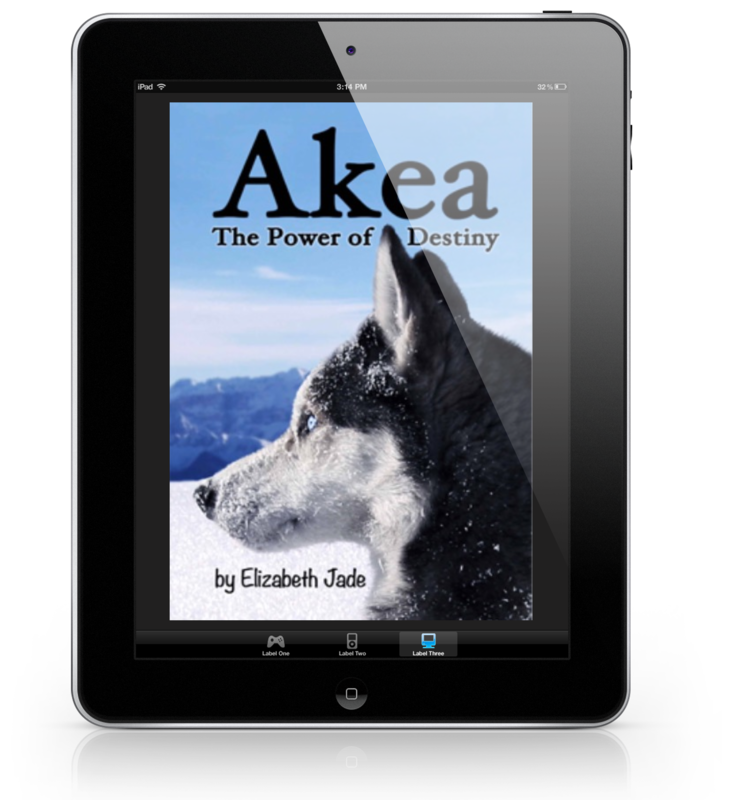 The wolf, Kazakh was well aware of Akea’s destiny and the traditions he would break to help her reach it. His task was to make sure Akea would be ready, no matter what the cost. Akea leaves her family and with the help of the Wolfpack, she finds her inner wolf. Suddenly, the pack turns on them, casting her out to fend for herself. She spends some time in an animal shelter before going to live with a new family, yet she quickly abandons them to follow Kazakh to the Wolf Queen’s den. Just as their goal seems in sight, Kazakh is shot and seriously wounded. Can Akea choose between protecting him and fulfilling her destiny? And even if she can, will she make it to the Wolf Queen in time? Although this book is primarily aimed at children in the 8 to 12 category, it could easily be enjoyed by older children and adults as it is written in a mature style with a light touch or read to younger children by their parents. 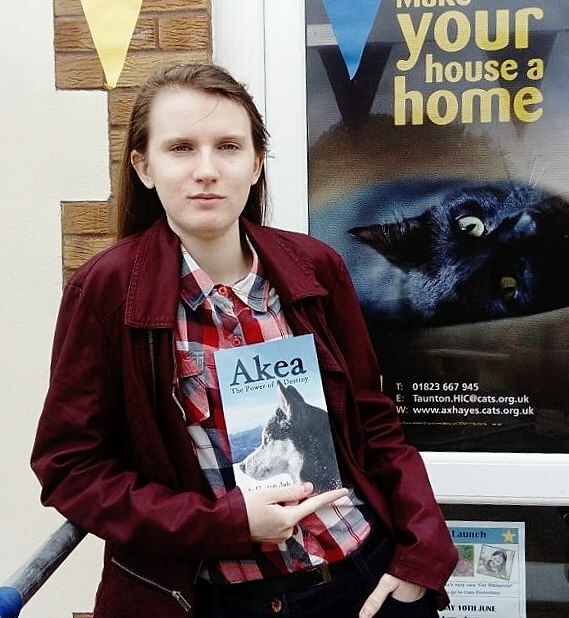 Akea is on Amazon in both Ebook and Paperback. Birthdays, books and blips By Val Portelli. Life was busy, bills were demanding to be paid, the 8.02 commuter train was cancelled, again, and it was probably raining. Still, I had a great circle of friends, and bars, restaurants and clubs needed our support. Fast forward to discover the frustrated writer, finally released after a hospital stay following a freak accident, and confined to a bed for a year, going stir crazy. Now was the time to write the book which had been buried for so long, and the beginning of a whole new learning curve investigating the idiosyncrasies of publishers. It’s only with hindsight I appreciate how rare the ‘I want to see more’ email has become, and how unusual it was for a first book to be accepted for publication. This is when I learnt typing ‘The End’ is only the beginning of the story. Who would have guessed the other factors involved; genres, sub-genres, pen names, cover design, several types of editors, eBook, paperback, hardback, book bloggers, blurbs, writing groups, blog tours, Indies, cowboys, gremlins, metawotsits and oojahs. Oh, and marketing. Go wash your mouth out! Part of the naivety was believing publishers dealt with all that, and just left writers to write. Excuse me for a minute while I break into hysterical laughter. If you want to know where the blips come into it, these are little gremlins who hide away in your manuscripts, Amazon algorithms and all computer packages. They can lie dormant for many years until they are woken by the euphoria produced when you are ready to publish your book. This is when they will maliciously remove one full stop, which when reinserted obviously throws out all the careful formatting resulting in page 56 becoming page 57, widows and orphans, and having to totally redo your table of contents. Don’t even get me started on needing links and page breaks for one format, and deleting them for another. Hands up who thought writing a book was only about putting words in chronological order? I can’t speak for all authors, but on the whole we tend to be introverts, happy with our laptop, (or quill pen and papyrus), scribbling away and searching for the key to Narnia when kids, spiders or social media, intervene and stop the magic flow of words for our latest masterpiece. How then can we turn ourselves into slimy salesmen yelling ‘Buy my Book’ from the top of the London eye? Now there’s a thought- at least that way there’s not the embarrassment of someone actually hearing you. Sorry about that, back to the sob story, er I mean topic. This is where the Internet is part and parcel of a writer’s life. How else could we check every five minutes to celebrate when our book rises from five million and two on Amazon’s best-seller list, to five million and one? Result! Break out the Champagne, order the yacht, throw a party, or, pop round to Grandma’s with a bottle of Sherry, as a thank you for keeping her promise to buy your book. Then there are the other things, like royalties. Should you accept a deal at 10%, or go it alone for 70%? No brainer, right? Wrong! The 70% is net of publishing costs, distribution costs, delivery costs, editing, formatting and cover design expenses, exchange rates, bank charges for depositing your 50p cheque, tax, accountancy hire for working out the vagaries of living in the UK but having to complete US tax returns, and a large bottle of wine to drown your sorrows or celebrate your first 5* review. Which leads me nicely onto the subject of birthdays. It seemed a good idea at the time to coincide my big birthday with the eBook birth of ‘Story of a Country Boy.’ It was a shame I forgot my still damaged leg wasn’t up to running in and out dusting off glasses, standing in front of the oven for hours, re-arranging furniture, and giving eviction notices to the dust-bunnies and spiders who had moved in, and hidden in obscure places to avoid paying rent. At least I had the comfort of knowing my host, Katrina, had the same daft idea of releasing her book on her slightly smaller, big birthday. We authors have to stick together, which is another, more positive thing I have discovered about this crazy world of books and bloggers. They are the first to offer tissues and encouragement for the down times, and will be the first on the invitation list for the party to end all parties when Hollywood comes knocking. Thanks for letting me ramble, Katie, and best of luck with your own book. Val lives in a leafy suburb of South London, and began writing professionally under the pen name ‘Voinks.’ The nickname started as a joke then spread through the family, so it was an obvious choice when her first book was published. Despite receiving her first rejection letter, aged nine, from some lovely people at a well-known Women’s magazine, she continued writing intermittently until a freak accident left her housebound. 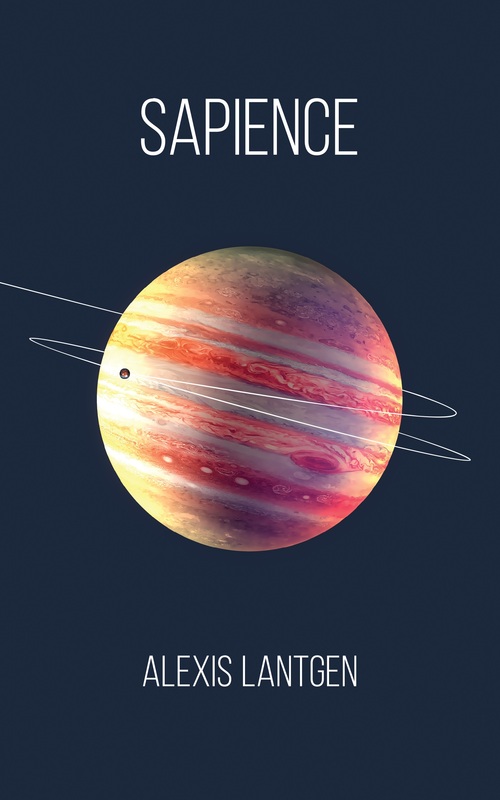 To save her sanity she completed and had published her first full-length novel ‘Changes.’ This was followed by a second traditionally published book, before deciding self-publishing was the way to go. In between writing her longest novel to date at over 100,000 words, she publishes weekly stories for her Facebook author page and web site. 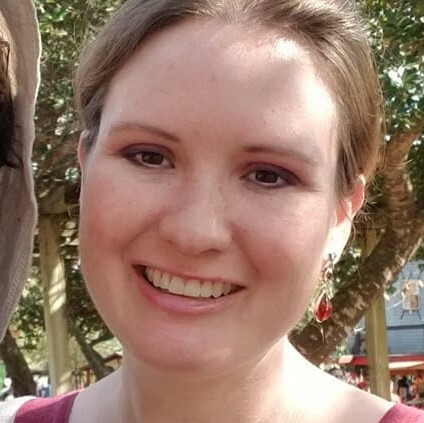 She writes in various genres, although her short stories normally include her trademark twist of ‘Quirky.’ Now firmly established in the ‘Authorish’ world, which even her spell checker accepts as a genuine word, she has set up her own publishing company ‘Quirky Unicorn’ which helps to pay for food for the Unicorns she breeds in her spare time.